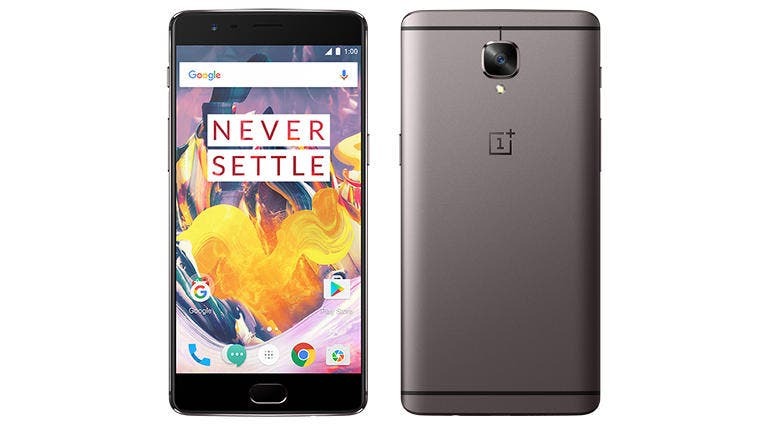 Although we are yet to get a better picture of the upcoming OnePlus 7’s specs and design, recent leaks suggest the Chinese firm will be breaking its yearly tradition by taking a leaf from Samsung with its S10 series and Huawei with its P30 series. 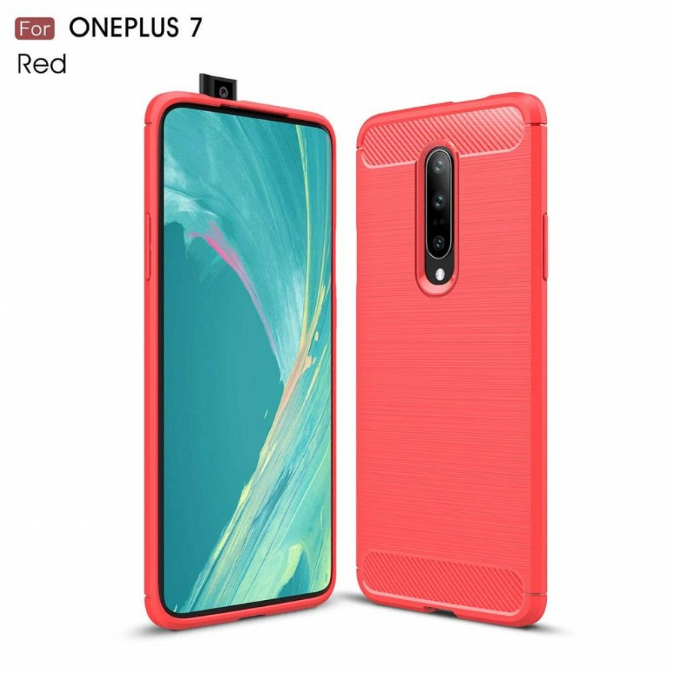 If the leaks turn out accurate, then the Chinese firm would end up releasing three different versions of the OnePlus 7 at once, and that could include the basic OnePlus 7, the OnePlus 7 Pro and of course a 5G variant of the Pro model. While that remains unconfirmed, a new leak from China may have hinted us about the Oneplus7 launch and release date. 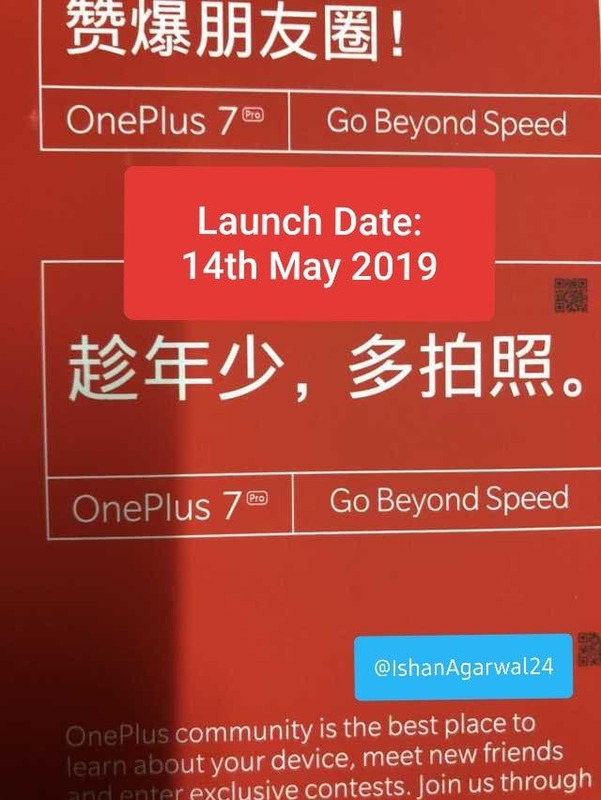 Leaker Ishan Agarwal in a tweet a few days back released a poster of the Pro variant of the OnePlus7 with the potential tagline “Go Beyond Speed”, and via the same tweet, the leaker revealed that the OnePlus 7 is most certainly confirmed for launch later in May. Fortunately, the leaker in a separate tweet earlier today confirmed that the OnePlus 7 series will be launching globally in about a month from today, May 14th to be precise. Sadly, that is all that was revealed, however, we should begin to experience a spike in leaks, given that we are just a few weeks away from the month of May, though we expect some kind of official launch teaser or invites from the firm in the following weeks.